Relationships are our jam! Coffee tastes so much better when it's enjoyed in good company and we are always seeking to do just that. We have solid relationships, partnerships and collaborations thought the supply chain. Here's a few that we are doing rad stuff with right now. If you ever want to work with us in some cool way, drop us a line! Finca los Pinos was the first farm Natalie visited (in a professional capacity) back in 2013 when Treeline was Little Red Wagon and there was still so much to learn, and boy did she! 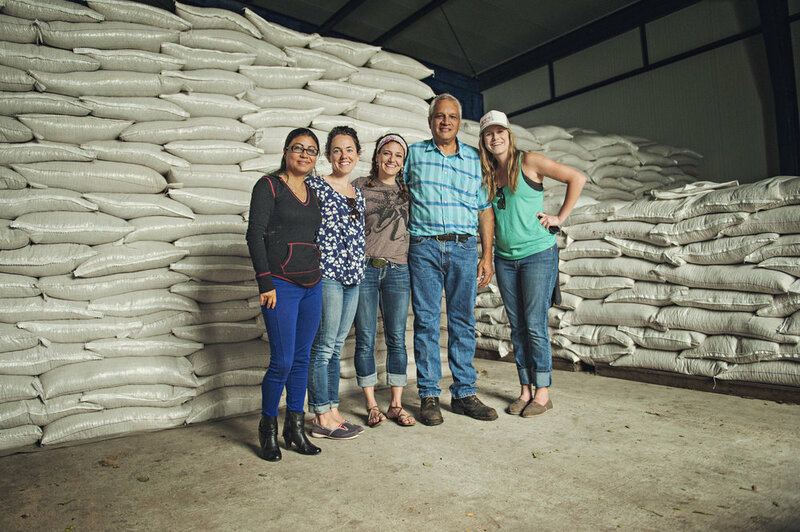 Byron welcomed her onto his farm and into his coffee family and taught Natalie fun facts about harvesting this magical bean that planted the yearning for her to grow her coffee knowledge and family (all the farming puns intended....). Byron is committed to organic farming and spends more that 20% of his time teaching other farmers how they too can farm organically. We don't always roll four boss ladies deep on sourcing trips, but when we do we make an impression - as we did in 2014 when Stacy ( Creative Genius ) , Natalie ( Chief Caffeinator ), Kelly ( Lead Translator // OG Wagon Roller) and Deejay ( Boss Lady In Training) headed south to Panama to Gallavant around on Norberto's farms. They ate Gesha cherries (some of them more then others....) and chased a rainbow into the glorious mountains of Boquete. They also had the opportunity to cup some of the best Panamanian coffee and made a friend who they later quite literally bumped into at Expo in Seattle in 2018. They expanded their understanding of the growing process, particularly Gesha and made a few more friends and lasting partnerships along they way. Our Colombian "partnership" with Mauricio + Adrianna and their business Traviesa Coffee is more of personal relationship then anything else as we truly consider them part of our family. Natalie has now been their twice, second time was with her husband and their 4 month old / barista in training West. Deejay was given the opportunity to go in 2016 and Mark / Jon were able to head over in January 2018. Each time, they have welcomed us with open arms and shown us their amazing company, farms and country. In 2016 we got to return the favor and host Mauricio in snowy, freezing Bozeman. 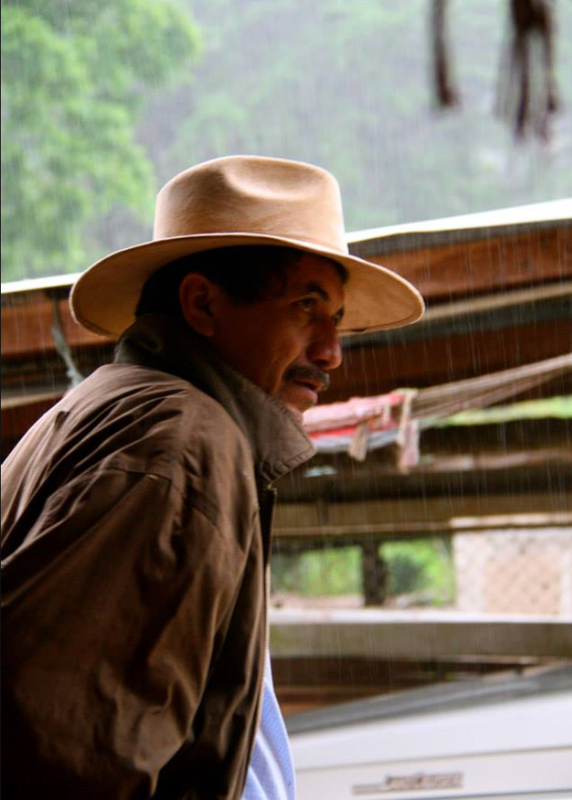 Our relationship with Mauricio is something we strive for when establishing partnerships with producers. We want them to feel a part of the family and for us to feel welcome to "stop by" and check things out to bring the story of the crop to cup back our customers in Bozeman. Traviesa allows us the opportunity to source from several small holder farms throughout Colombia. And with their regular harvesting ability, we are likely to have a fresh Colombian offering for you year round! Last year we had the opportunity to forge a new friendship with Jeanine Niyonzima-Aroian, founder of JNP Coffee. She's from Burundi and now resides with her family in New York. She's partnered with several female Burundian coffee farmers and is empowering them to improve their farming and processing practices. She's then taken the coffee we've bought one step further and has implemented an all female supply chain by selling the coffee to women coffee roasters. This is very unique (in a male dominated industry) and we are honored to be part of the process. We are so excited about this incredibly tasty coffee! For years we've been proudly supporting SheJumps. Their mission is to increase the participation of women and girls in outdoor activities. SheJumps introduces females of all backgrounds, ages, and abilities to the outdoors through Get the Girls Out events, youth initiatives, and outdoor education opportunities. Founded in 2007 by big-mountain skier Lynsey Dyer, Claire Smallwood, and Vanessa Pierce, the vision of SheJumps is to create positive female role models and encourage women around the world to take a jump and live their lives to the fullest potential. SheJumps has seven regional offices in the United States and a growing network of supporters all around the world. Learn more about their awesome work here and learn more about our partnership here. Trust For Public Land's mission was always something Treeline could get behind, but when they took Story Mill Community Park project on, we couldn't get (more) involved faster! With the park just blocks away from our Northside Location, we felt it was our duty to help TPL make the dream of the largest community park in Bozeman come true. We've helped them reach their goal with monetary and in-kind donations, all the while keeping volunteers and park enthusiasts along the way caffeinated! Montana folk love their trails. We run, bike, ski and frolic on them all year round and most of us never stop to consider who is keeping those trails clear and safe. In fact, before Montana Wilderness Association approached us, we had no idea how much went into maintaining these trails we use and after finding out - we were ecstatic to help them in any way we could. The volunteers needed caffeinating this summer while they work away on maintaining / creating our trail system, and Treeline was more then happy to accommodate! If you pass an MWA volunteer while gallivanting about, make sure to wave, thank them and cheers your treeline mug with theirs! Treeline is excited to support a rad team of instructors for the Montana Wilderness School with coffee to help them fulfill their mission: to provide empowering expeditionary wilderness courses to youth that cultivate a conservation ethic through connecting with remote landscapes and wild places. If there’s one thing that outdoor educators need to keep the stoke high on an expedition it’s quality caffeine for alpine starts on mountaineering trips or long days paddling the river. 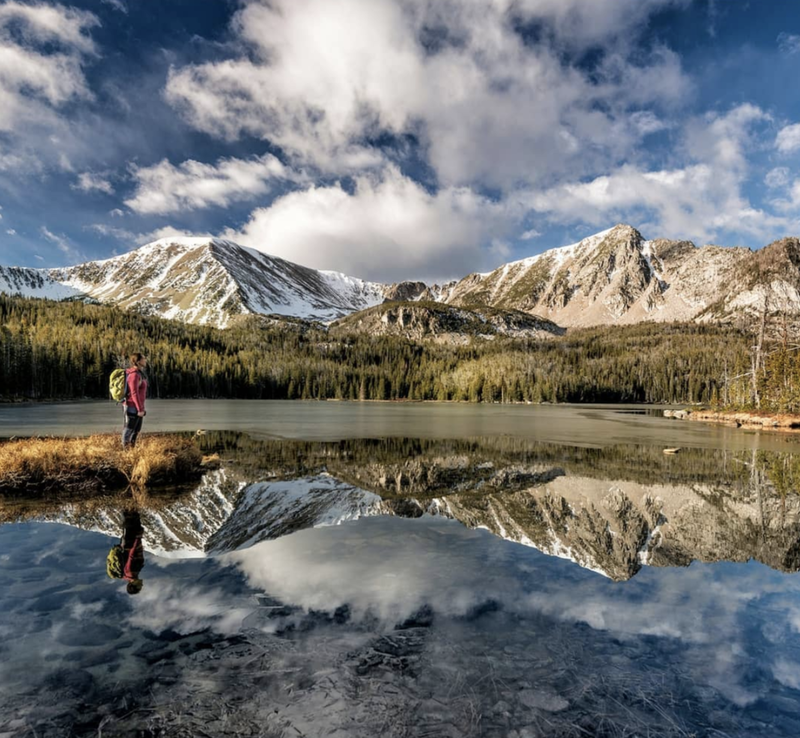 MWS uses a place-based curriculum to teach students about leadership, character development, teamwork and technical skills in the backcountry; by supporting MWS, we are helping high school students in Montana "find their treeline" on our public lands. Sometimes things are just better with others. In order to find your Treeline, you'll often need a Map. And we decided to take the pun head on and have been collaborating with Map Brewery for the last two years on delicious coffee infused beers. We admire craftsmanship, and the crew over at Map have a knack for making high quality tasty beer. 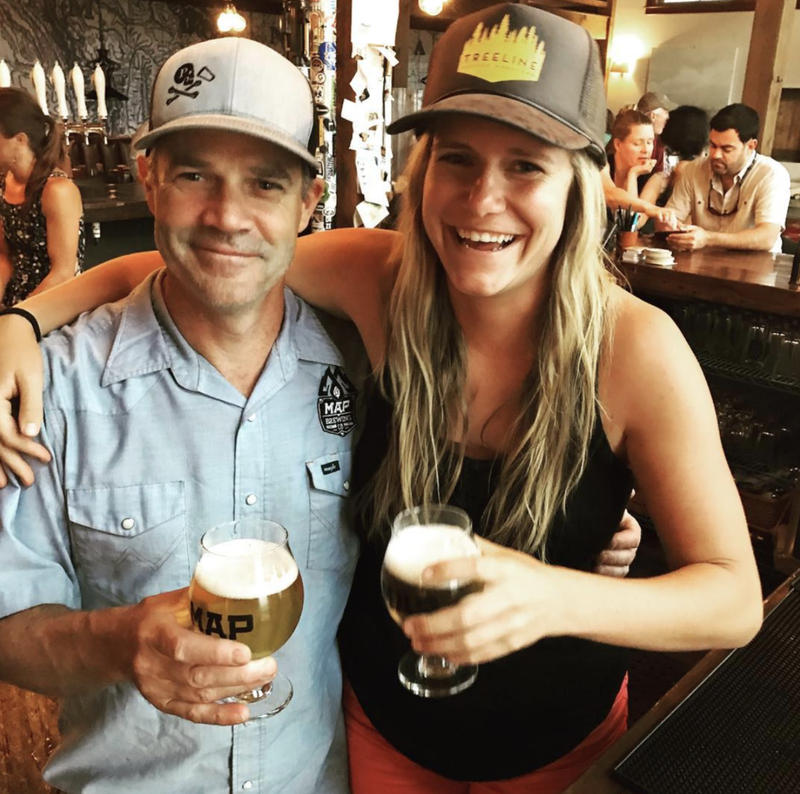 Check the ever popular rotating Kolsch Pirate Hippy or follow them on Instagram to hear about new and fun collaborations with us! What's better than coffee? Coffee + Booze! It's been super fun partnering with two other local Bozeman artisans, Wild Rye Distilling and 406 Brewing. Stop in to their tasting rooms to try out our coffee infused beverages. Willie's Distillery approached us 4 years back about putting their super secret ingredient in our Espresso Rub for a dynamic meat rub to sell at their distillery. Needless to say, it was a hit as you can still find Willie's Bourbon Espresso Rub at their main location in Ennis, Montana today! Interested in partnering with Treeline?